The state's case against Trans Continental Airlines and its alleged $317-million Ponzi scheme just got a little smaller and eventually could be dropped now that federal authorities are leading the investigation. 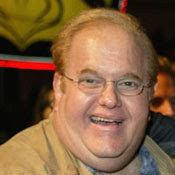 Poor, poor Lou Pearlman. The large creator of many a boy band is involved in all sorts of trouble. Expect him to cleared of all charges in a jiffy.